The wait is finally over for Paramore fans as they're now able to sit back and listen to the band’s entire album. Have they changed their sound? Yes. The return of Zac Farro to the drums, Taylor York's incredible production alongside Justin Meldal-Johnsen and Hayley Williams' simple and direct sincerity make this one of the best works in the band's history. Maybe the opening track Hard Times is not the great success of the album. 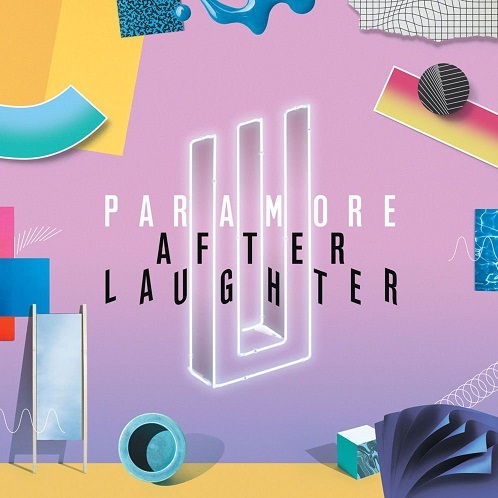 But sure enough, after listening to the entire album, After Laughter, the clear impression is that you could not have a better first track than this one. The confessional tone of the lyrics reflects on "hard times," especially Hayley Williams, and how easy it is to grow old and the sadness it brings. Get ready fans: this is just the first of the twelve pages of this band's sincere little diary and, of course, Hayley in particular. "Hard Times" calls attention to the dancing beat, guitar and bass, making reference to the pop / rock of the 80s. This is the sonority that dictates the rhythm of the album, that brings an interesting mix between sad and reflective lyrics, with a song Extremely happy and made for you to dance, even if you don’t feel like you want to. This one sounds like a perfect continuation for " Hard Times ": it's just as dancing as the opening track. In the second song of the new album, Hayley speaks sincerely about being sad and not wanting to show the opposite: "Just let me cry a little bit longer. I'm not smile if I do not want to, Just let me cry a little more. I will not smile if I do not want to”. Guitar is the element here that most refers to this sonority. The lyrics again reflect Hayley's worried thoughts in obscure phases for the band, which almost came to an end after the departure of former bassist Jeremy Davies. When we talk about sonority, Paramore moves away from pop punk and approaches the indie rock and pop of bands like the trio HAIM . This is clear in "Forgiveness," one of the nicely composed tracks from "After Laughter". The lyrics once again take up the subject of the band and their losses, revisiting the time of the Farro brothers' departure. Hayley Williams and Taylor York commented in an interview, a recent meeting with former guitarist Josh Farro and how good the sense of "forgiveness" reigned between them: "We had what I feel was the most real and most true forgiveness and redemption among this group of people," said the singer. One of the most confessional lyrics of the album, the fifth track is also a time where Hayley talks about her inner sadness despite demonstrating the opposite. And the most interesting is that the singer wants to speak for everyone, that she is no different from anyone and that we all pretend or already pretend to be happy, even if we actually have the feeling of sadness: "Oh please, I bet everybody here is fake happy Too." If Hayley's goal was to talk directly to fans through this song, she did it. It is normal to see in the social networks followers of the band that identify with the letters. " This may be the most complete ballad in Paramore 's career: from the sophistication of production to the complexity of the lyrics. Certainly not a radio hit like "The Only Exception"
But " 26 " has no such intention: it is one of the band's most mature compositions, with Taylor's guitar accompanied by an orchestra and Hayley's soft voice singing about the importance of not losing hope and always being a dreamer. In an interview, the singer said the lyrics symbolize a conversation with herself, younger. Maybe that's where the song title comes from, when at that age she faced a complicated situation with the departure of bassist Jeremy Davies of Paramore and a time where she and Taylor needed to think about which way to go. To the happiness of the fans, they remained "dreamers" and the band continued. One of the marks of the sound of the new album is the softness of their songs, even when they have the potential to be more "heavy", so to speak. This is the case of "Pool," a song that reminisces to alternative rock from the 90's with mastery, showing how the partnership of Taylor York and Justin Meldal-Johnsen in production is incredible on this album. For fans worried about the "sad vibe" of most of the lyrics on this album, here Hayley sings openly about love and being in love. Maybe this song, especially for fans of the band, is the most emotional of the album, next to "Tell Me How". She speaks with incredible sincerity about the path that Hayley Williams and Zac Farro have come together since the drummer left the band in 2010 until they rekindled their friendship. I know you're shaking my hand like it's the first time. Like we did when we were kids"
Quoting the opening track, the "hard times" are back in "Caught In The Middle ." This is another song that brings a Hayley reflecting on how difficult it is to grow old, especially for the lead singer. A letter like this makes a total sense in "After Laughter": Hayley started with Paramore when she was only 15 years old and her father took her and the other members to make shows in a van. Today, at the age of 30, with thousands of fans around the world and with the band having constantly changed training, the vocalist writes properly on the subject. This is the song that comes closest to the old rock sound of the band, present in the previous albums. Maybe a lot of Hayley's vocals, which here sound more aggressive than the rest of album and resonates old songs from the trio. The theme of the lyrics is delicate: the idol image and how much people expect from it in this role. In an interview with Zane Lowe, the singer spoke sincerely of the idea of the lyrics: "I was bumping into people we saw at concerts or someone with a band shirt. And I was not ... it was not the same person in the photo of that shirt. And maybe it never has been Maybe that made me sad and angry Sad because I could not be that person Furious because people expect me to be that person. For the first time, Hayley Williams doesn’t sing in a band song. Just so, "No Friend" would already be a milestone, but it also sounds like nothing Paramore has done before. The vocals are by Aaron Weiss, from the band MewithoutYou . In the lyrics, it gathers parts and song titles from various phases of Paramore 's career, again with the issue of "idol" as the main theme and how people see their favorite artists different from who they really are or how they feel. 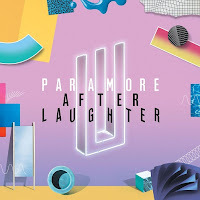 "After Laughter" is finished superbly with the ballad "Tell Me How". Hayley sings his insecurities after so many losses (a reference to the band itself), but at the end with the certainty that it can move on: after all, "After Laughter" is nothing more than the representation of the continuation of Paramore.